Sergej Maslobojev vs Ondřej Hutník rematch in ONE Super Series? Sergej “Kuvalda” Maslobojev, 31, of Lithuania is one of the kickboxers who are undefeated in ONE Super Series. If given the chance to choose his next opponent in the striking-only league of ONE Championship, he would like to have a rematch with an opponent he once lost to. Maslobojev’s most recent ONE Super Series bout was at “ONE: Pursuit of Power” in Kuala Lumpur, Malaysia on July 13, 2018. He defeated Florent Kaouachi, 30, of France via unanimous decision after three three-minute rounds. Ondřej “Spejbl” Hutník, 35, of Czech Republic currently holds a professional kickboxing record of 89 wins, 13 losses and 1 draw. He defeated Maslobojev via majority decision at “Yangames Fight Night 5” in Prague, Czech Republic. Hutník is currently riding a two-bout winning streak. After beating Maslobojev at “Yangames Fight Night 5,” the Czech kickboxer knocked out Miran “Boss” Fabjan, 33, of Slovenia at “W5 Fortune Favors the Brave” in Kosice, Slovakia on November 11, 2017 and defeated he fellow Czech kickboxer Petr Vondráček, 41, at “Heroes Gate 20” in Prague on May 4, 2018. On the other hand, Maslobojev redeemed himself with a five-bout winning streak after losing to Hutník. Both in Vilnius, Lithuania, the Lithuanian kickboxer knocked out Petros Vardakas, 27, of Greece at “FightBOX KOK Heroe’s World Series” on November 18, 2017 and Noureddine “The Lion” Ajnaou, 27, of Morocco at “KOK`55 World Series” on March 17, 2018. 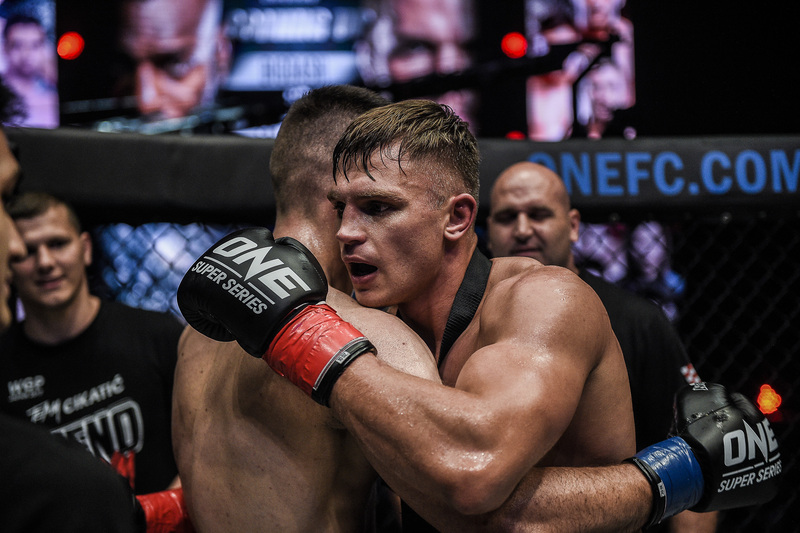 On April 12, 2018, Maslobojev made his successful ONE Super Series debut at “ONE: Grit and Glory” in Jakarta, Indonesia. He defeated Antonio Plazibat, 25, of Croatia via unanimous decision. After beating Kaouachi at “ONE: Pursuit of Power,” Maslobojev competed again in Vilnius. He defeated Rafael de Souza, 33, of Brazil “KOK Heroe’s World Series 2018” via unanimous decision on November 17, 2018. Beating de Souza improved Maslobojev’s professional kickboxing record to 29 wins and 5 losses. He also holds a professional mixed martial arts record of 10 wins and 6 losses and a professional boxing record of 7 wins and 3 losses. Reece McLaren vs Danny Kingad in ONE Flyweight Grand Prix?